An increasing number of business entities are actively using blogs as part of their marketing strategy. Why? Blogging is providing them the ability to connect with their audience thus encouraging goodwill which in turn helps bring sales. It is nothing you have not heard for quite some time now. Blogging has caused quite a stir. It has, in fact, continued to proliferate rapidly. In early days, a blog is just a personal online diary. It is a place to publish one’s thoughts, to collect and share things that one finds interesting. It is a venue to express one’s rants, raves and musings. Today, professional and amateur journalists, political pundits, business honchos, entertainers, everybody seems to be blogging. Blogs are now being used to promote a business, run a political campaign, elicit publicity, among others. 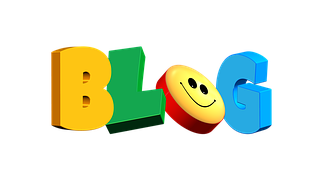 A blog or weblog is an online diary of events arranged in reverse chronological order. The author of a blog is known as a blogger and writing or maintaining a blog is referred to as blogging. An individual entry or article is called a post and is available in the form of a blog page for the public to read. A blog may have a commentary box for readers to leave comments or opinions. These comments act as stimulus for further conversations. A business or corporate blog is simply a blog about a specific business. It is an effective medium for communicating with current and potential customers to share knowledge and expertise and foster relationships. A company that employs a well-planned blogging strategy can spur significant market gains and sales earnings. Marketing is not just promoting a product or service. More importantly, it is about understanding the needs and wants of customers and developing products or services that satisfy these needs and wants effectively. A blog enables a company to reach out to current and potential customers, in a more personal way. A blog builds connection and links between the company and its key audience which helps the company use this network over time to improve overall business. A business blog especially if regularly updated can inform readers about a company product or service, information, industry news, tips, tutorials or company developments. Links to industry-related stories can also be found in a blog. The way the targeted audience responds to these information or content is important to any company. A blog is a good venue for customers to air issues, concerns and give comments. Through a blog, customers in and around Niger state can give their own inputs. A company can hear directly from customers and understand what they desire to get from a product or service thereby stimulating the essence of feedback amongst businesses in Niger State. Sometimes, the most well-intentioned product under perform because of lack of customer feedback. With blogging, a company can ask for feedbacks, albeit not the whole world, but at least the blogging community. Once a company has insights into what a large community thinks of the product or service, the company can then further improve the product or service to meet customer requirements. After all, customer satisfaction is of utmost importance. A company who listens and responds to customer feedbacks conveys the message that there is somebody who listens behind an otherwise faceless company. Because a blog is conversational, it gives the company a human voice. This assures customers that there is a “real” person who will take care of their needs. Customers will feel an affinity with the company. Regular visits brought about by regular updates thru fresh blog entries will familiarize the customers with the company and make them feel that they personally know the company. In due time, trust and loyalty is built and relationships fostered. As we all know people generally buy products or avail the services of people they know and trust. Rest assure that return visits to the blog, maybe for more information will transpire even after a purchase has been made. As they say, customer loyalty is the end-all-be-all of marketing. A company that utilizes customer ideas, feedbacks, and opinions can further satisfy customer needs and wants and thus facilitates goodwill in the blogging community. It is standard practice in blogging to provide a link to a thought originator which is important because backlinks are a method for search engines to rank a blog. Search engine ranking is very important. Google and Yahoo are two of the most popular search engines. A blog is typically written daily thus the blog post is new. The search engines index the new post more often than the regular website. The result is a high rank compared to a website. If a company has a product to promote and publishes blog posts about the product regularly, chances are one of the blog posts will be found by readers who may be looking for information about the product. Hopefully, after reading the blog post, the potential customer will visit the company website and make a purchase online or buy the product in a “brick and mortar” store. Marketers acknowledge that potential customers can be customers once they find the information they want about a product from the company’s blog. Another feature of a blog why search engines love it is a blog’s high number of incoming links. Bloggers link to other blogs, articles and websites. The reading audience is exposed to a plethora of information. Bloggers, thus, create and retain a loyal following of readers. PageRanks for blogs are usually very strong too. As you and I know, high search engine ranking translates to high traffic and more sales leads. The way to get the most from blogging is by building a strong brand. A brand is simply value for the customer. It is good customer service and products or services that will satisfy customer needs and wants. A blog can help a company demonstrates its expertise in its industry or field. Blogs do create buzz about a company’s authority in its niche. A blog connects a company to its target audience and peers and starts a more dynamic conversation with the marketplace. A blog helps to show a company’s value, its online brand on the web. Once a company has built a strong brand, sales will just follow. Publishing a blog will not automatically generate higher sales. However, it is an efficient way to communicate with customers and prospects. A blog in itself is an excellent tool to support a business, provide value, build relationships and establish brand and image. The ultimate purpose of a blog is to brand, to communicate and to connect. Increased sales should only be viewed as a positive indirect effect of a successful blog. Hope this piece has been helpful, I hope to hear from you about challenges, enquiries.